Every year there are a number of reasons to throw a party. Perhaps you have a special birthday coming up? Are you approaching your wedding anniversary? Are you organising a party to celebrate the Christening or naming ceremony of a loved one? Maybe you are lucky enough to have recently become engaged and want to throw a party to celebrate your happiness? 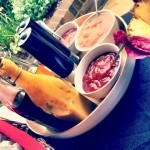 Maybe you are organising a party for a friend or family member as a surprise. 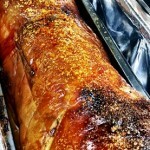 Or perhaps you wish to throw a hog roast party for Christmas or New Years Eve. Of course you don’t need a valid reason to throw a party for yourself and your loved ones sometimes it’s nice to just hold a gathering for friends and family to get together and enjoy themselves. 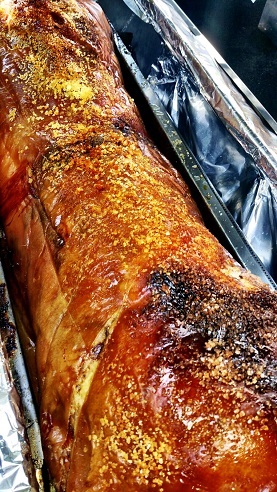 Our Famous Hog Roast served in a roll with apple sauce and piping hot stuffing. A great solution for parties, open days, mid-evening wedding feasts and so much more. A Whole Succulent Pig served with fresh seasonal salads and hot potatoes. 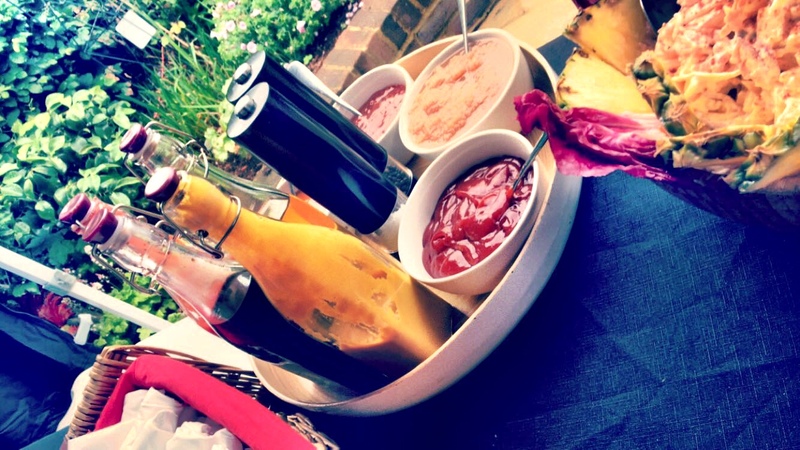 Informal indoor or outdoor dining, ideal for team building events, parties and BBQs. 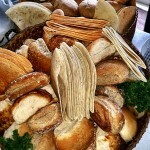 Go the Whole Hog relaxed more formal dining with drinks reception and canapes, hog roast buffet and desserts. 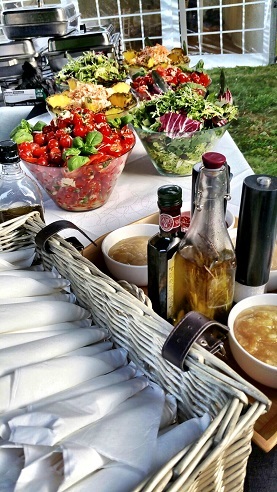 Perfect alfresco entertaining for that special event. 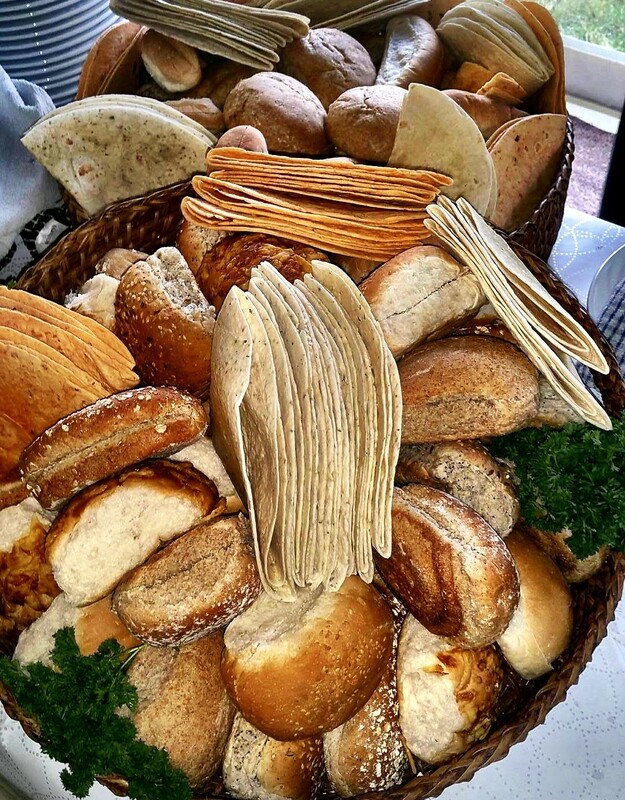 So if you are planning to hold a party this year you will need to provide tasty catering to keep you and your guests happy and well fed. That’s where Spitting Pig Cheshire comes in. We are available twenty four hours a day, seven days a week and 365 days a year to supply you with outstanding food for your private party. Not only will our food be a taste sensation it will also give you and your guests the energy to continue partying all night. 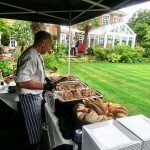 Everybody wants their party to be a great success and with a hog roast you simply can’t go wrong. Not only does it provide tasty, filling snacks to keep everybody happy it also creates a stunning centre piece as the hog is slowly roasted to absolute perfection for everybody to see. 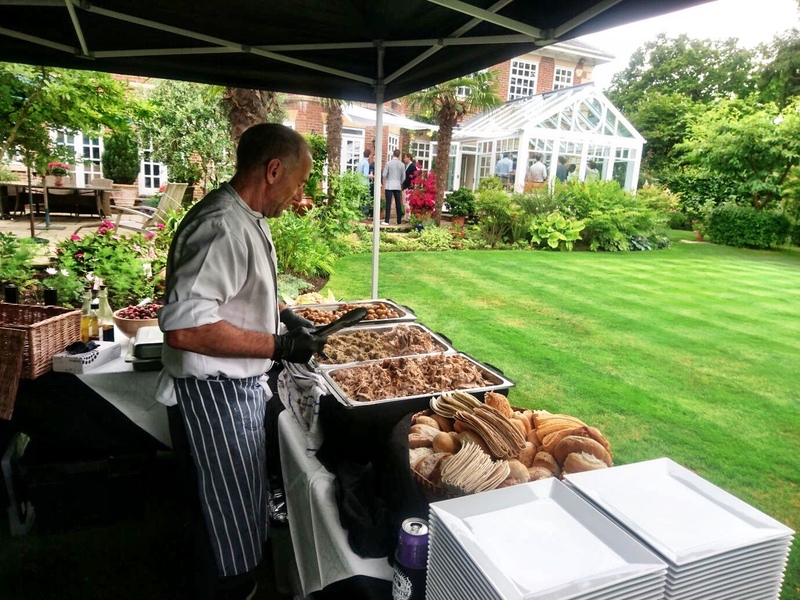 A hog roast certainly creates the perfect party atmosphere and best of all its also great value when catering for larger numbers of people. So by treating yourself and your fellow party people to an amazing hog roast you get great food, satisfied guests, the perfect party atmosphere all for a reasonable price. What more could you ask for? If you have not already had the pleasure of one of our outstanding hog roasts then please give us a call or email today. 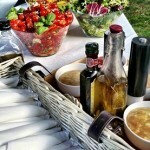 We guarantee once you have used our catering services once you will come back time after time.